Kitty Ravencraft is back in an all new Kickstarter from Dan Parent and Fernando Ruiz. Fernando was nice enough to stop by First Comics News to let our readers know what to expect from the further adventures of Die Kitty Die’s Kitty Ravencraft. First Comics News: Die Kitty Die survived her first mini-series without actually dying. 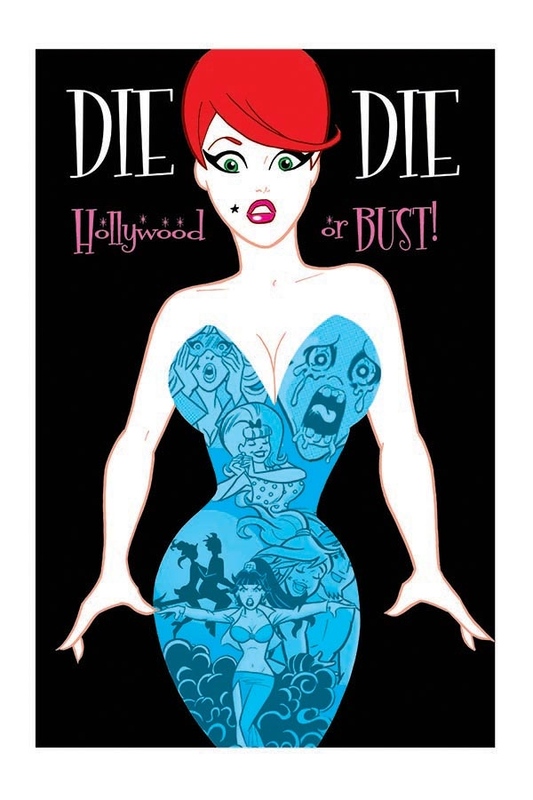 Is She in any danger of death in Die Kitty Die Hollywood or Bust? 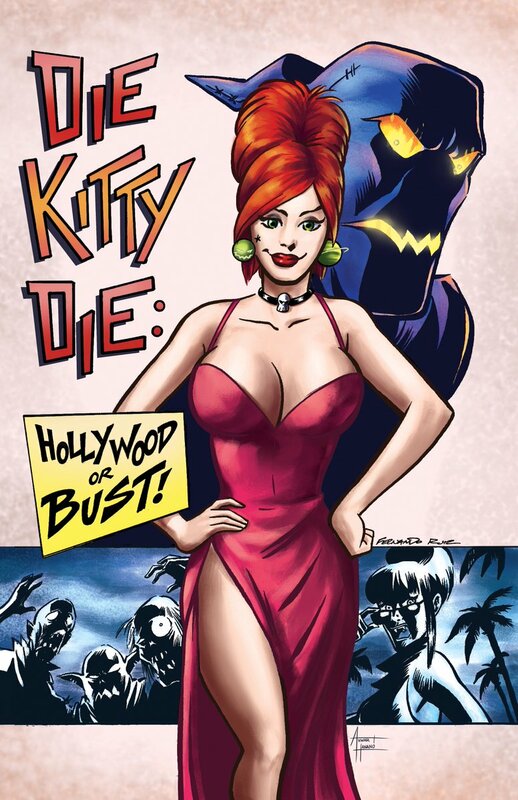 Fernando Ruiz: Kitty may have survived her first series, but DIE KITTY DIE: HOLLYWOOD OR BUST is still called DIE KITTY DIE! That means Kitty is once again in danger. In the first series, we knew exactly from the beginning who was out to kill our favorite redheaded witch and why. The big difference in this new series is that this time, the reader won’t know who is out to get her. It’s going to be a mystery! 1st: The first Kickstarter was for a four issue mini-series, how many issues this time? Fernando: This Kickstarter will follow the same model as the first. We are looking to fund four individual issues that we will collect into a trade with bonus material. Hopefully our generous supporters will allow us to do a hardcover trade as before. 1st: Why is Kitty going to Hollywood? Fernando: When DIE KITTY DIE: HOLLYWOOD OR BUST starts, Kitty’s comic book, after the events of the first series, is now a big popular hit. Of course Skip Stone, Kitty’s publisher wants to capitalize on this success and get a huge blockbuster movie deal. After all, the real money in comics is in the movies, isn’t it? Kitty goes off to Hollywood to make sure her movie is being made properly. Boy! Is SHE in for a shock! 1st: Who are the new characters she discovers in Hollywood? Fernando: In addition to some popular favorites from the first series like Dippy the Dead Kid, Maxi Millions, and Little Satan, we’re going to meet the unstoppable Hexecutioner and we’re going to see a re-introduction of the cult fan-favorites, The Carneys! 1st: Does she feel the producers in Hollywood are getting her story right? Fernando: Kitty is going to discover very quickly that one of the first things Hollywood does when they adapt a popular comic book is to throw away the comic book. She’s going to have more than a few creative differences with her publisher, Skip Stone. 1st: So does everything go smoothly in Hollywood? 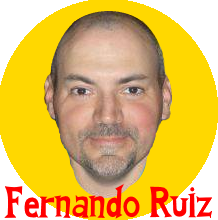 Fernando: Very little will go smoothly for Kitty in Hollywood. Otherwise, it would be a very short story! She’s going to find lots of thrills and surprises as once again her life is in danger! 1st: How do the Carneys get involved in the story? Fernando: Spoiler alert! One of the big revelations in this series is that Kitty has been good friends with the Carney’s double-headed daughter, Linda-Louise! That relationship will bring the rest of the freaky family into the story! 1st: It’s been a long time since the Carneys were in the comic shops, will the original issues be available on your site of digitally on Comixology? Fernando: We’ve got our hands full telling Kitty’s new adventures, but we’ll see what we can do for the First Family of Freaks’ earlier adventures. 1st: Any plans for a Carneys revival beyond this mini-series? Fernando: Dan and I are working with Chapterhouse Comics to see what possibilities there are for the Carneys after this series. Let’s hope they all survive! 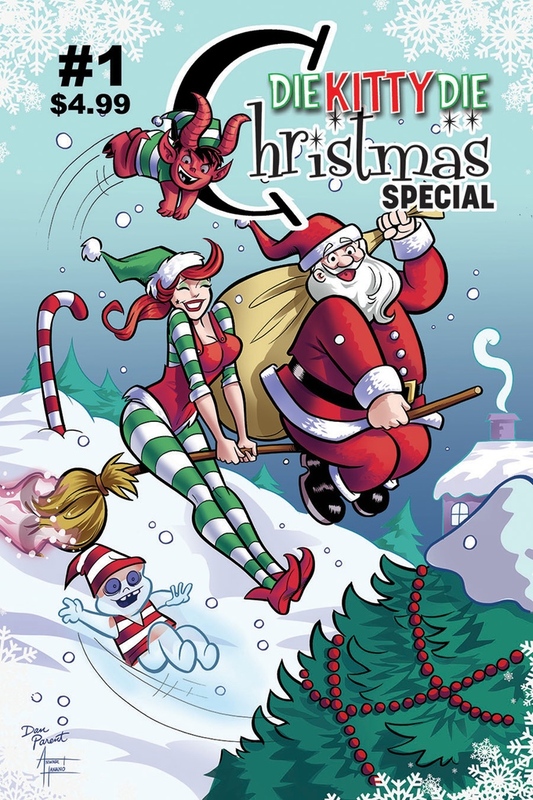 1st: One of the stretch goals is a Christmas special, what is Christmas like for a witch? Fernando: It’s early yet but in a Christmas special titled DIE KITTY DIE CHRISTMAS SPECIAL, someone is going to be out to kill Kitty at Christmas! Not to give too much away, Santa Claus is going to be involved! Kitty’s Christmas might just be ho-ho-horrible! 1st: If the stretch goal is reached will fans have to wait for Christmas 2017 for get a copy of the Christmas special? Fernando: Yes. The Christmas Special is going to be a seasonal issue so DKD:Hollywood Or Bust will be available in late Spring or early Summer 2017, but the Christmas Special will be along later that year. We don’t want Kitty’s fans to get confused reading a Christmas story in July! 1st: There is also a Summer Special as a stretch goal. What happens in the Summer Special? Fernando: We’re looking forward to the Die Kitty Die Summer Special. Hopefully our loyal and generous supporters will help us reach this stretch goal. Summer specials harken back to the days when the best comics out there had annuals and special editions of their most popular books. Dan and I are going to make this book in that tradition packed with special stories and more of the fun extras a lot of our fans have told us they loved in the first Die Kitty Die! 1st: After two mini-series and two seasonal specials are there plans for a Die Kitty Die on-going series? 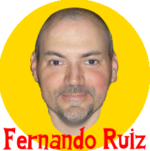 Fernando: We consider Kitty’s series of mini-series to be her on-going series. Our plan is to do two four issue mini-series per year. After we’ve produced them and made them available to our Kickstarter supporters, Chapterhouse Comics will publish them in print form and distribute them worldwide so that they will be available in comic shops everywhere. Sometimes fans are going to have to remind their local shops to order enough copies. Don’t take chances! Call your shops and give them a reminder to order plenty of Kitty!